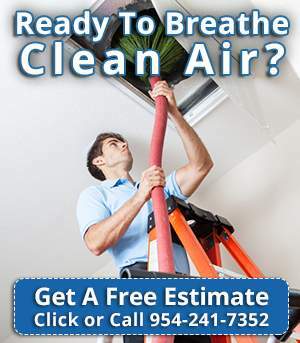 Are you looking for air conditioning duct cleaning? Many are unaware that indoor air can be as polluted or even 2 to 5 times more polluted than outdoors air. Also, disposable filters eliminate 10% of pollutants allowing 90% to enter the air system of your home. What happens next is this pollution, debris, and dust would migrate into your rooms allowing mold and bacteria to grow. Microorganisms easily thrive in ducts due to its ideal dark and humid conditions which dust, dander, and pollen are good to feed on. All indoor air was outdoor air at one point, so dust, chemicals, and mold spores are sucked into your house system. Other pollutants are cooking smoke; household sprays and household sprays etc. Also, humans shed dead skin cells as well as our pets and their fur. Air Purification Technologies can help you get rid of these elements contaminating your breathing indoor environment. Our air duct cleaning service will allow your unit to run more efficiently and preventing it from breaking down. With a longer lifespan, you can save money in the long run from buying a new AC unit. Ventilation, heating, and air conditioning systems act as a source of contaminant collectors such as mold, bacteria, fungi and particles of dust. The removal of contaminants from your HVAC system should be a priority as is the main component to improve indoor air quality for you and your beloved ones. Call us today at 954-241-7352 to make an appointment today with any of our technicians!